I have been an editor, writer, and publisher with a small book-packaging company in New York City. Book collecting led me into bookbinding. 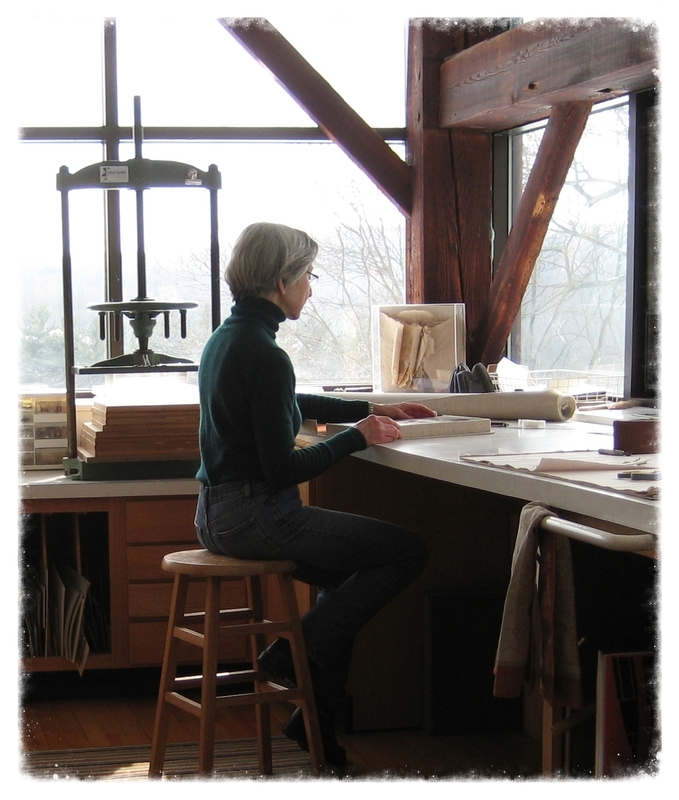 After an informal apprenticeship with Hope Weil, I set up a bindery in an 18th-century barn on my New Jersey farm. My design bindings are in many private collections and such institutions as Princeton University Library, The Metropolitan Museum of Art’s Thomas J. Watson Library, The Pierpont Morgan Library, the New York Public Library, and the Bridwell Library at the University of Texas in Austin. Other bindings have been exhibited in Guild of Book Workers’ and Designer Bookbinders’ exhibits. The binding of Mark Twain’s Adventures of Huckleberry Finn received first prize in the Helen Warren DeGolyer Competition in 2003. In 1982, Oak Knoll published my earlier book, A Collector’s Guide to Bookbinding.